“Dear Lord, Thy will be done! I want you to know I’m still praying for you and thinking of you so much. I can barely drive on Cascade Rd. I know if I feel that way, then it must be a million times more gut-wrenching for you. But as “our” shock wears off and “your” reality sets in, I want you to know that I’m praying there’s less of a gap between the “us” and the “you.” That somehow those of us who do not know this anguish can still bridge the distance, so you do not feel isolated in this. I’m so sorry for the painful, hard days.. I want you to know that I also see reminders of your son Lucas each day while I’m out running my kids.. Every day at FHC high school, I see the rock that is painted for Lucas and my thoughts turn into prayers for you, your husband, your beautiful children, and the FHC students.. Every time I drive by Lions Park, the same thing.. I remember the baseball games and the bunch of the little kids running around while during the game as we try to watch our boys. These thoughts, turn into prayers for you..every time. I just want you to know this. So many families are thinking of you and remembering Lucas. 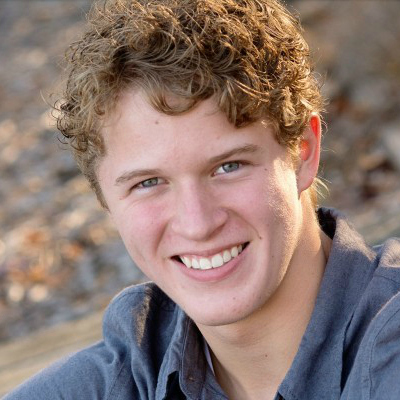 Lucas’ life shined a light into many hearts at FHC and I will continue to pray this prayer with you – for God to use this tragedy to change them. Melissa, I am so sorry for your pain. My heart hurts for you and with you. I am praying that you will feel God’s presence. That you will feel him carrying you, holding you, helping you. Lifting you up in prayer. Grace and peace and comfort to you and your family from God our Father and the Lord Jesus Christ. May the Lord strengthen you as you share your heart. Though we’ve never met, I, like everyone in our community that I’ve talked with, are saddened by Lucas’ death and have been raising you and your family up in prayer. Casting Crowns did an inspiring song many years ago containing those words called “Prasie You In This Storm.” I was watching many versions on Youtube this morning and thinking, praying (yeah, crying too) ………..words, images, music can be so powerful in helping us deal with our emotions……The song so beautifully captures God’s strength and understanding of our feelings of isolation, fear, despair, anger, joy,…….and He loves us! I fear losing one of children, I’ve imagined what the loss would feel like and the pain is frightening. I can’t imagine the pain you are experiencing however your words are raw in describing this nightmare. Like many have said, we are thinking of you, ️praying for you, living more authentically because you’ve shared Lucas with us and cling to faith & his promise of salvation! Many years ago I wrote a poem for my firstborn son and after reading today’s post, I have adapted it for your son with the hope that it will bless you. no longer at my side. given over to the Lord. My name is Jon Martin and I met you at the visitation. I played baseball with Lucas. I just wanted to tell you that I have been reading your blogs and I feel the need to say that Lucas changed my life drastically. Before I met Lucas I was struggling with my faith after moving from Florida where I lost all of my friends. Lucas made me feel accepted here and made me realize that my life had not been reflecting God. Since I met Lucas I have been going to church every Sunday and try to reflect Christ in everything I do. I now try to live like Lucas every day and I feel a direct connection with God. I wanted to thank you very much for Lucas. Thank you for the courage to express all of these delicate feelings with us. Ive been following your blog since the first day and im just so very torn apart with every post, i cry with you on your hard days and celebrate with you on the days that you feel better and feel Gods comfort in such a close way. I dont know you personally but i am a sister in Christ and pray for you everyday. Ive been through some loss of my own and my motto has been… let go and let God. He does walk us through this journey of life, all the pain as well as the joys. May you always feel Gods arms wrap around you especially on the moments of intense pain. He loves you so much. You do not know me, however I have been praying for you since I heard about Lucas’s accident on the radio, 91.3. I have a dear friend in the FHN district, and her son knew Lucas. Jeremy Camp has a great song called “He Knows”… I only learned this week that he lost his first wife to cancer at 21 years old, after 3 1/2 months of marriage. I hope you can listen to this song. I know music touches your heart, as it does mine. I am praying for you. I know God holds you, even though you can’t feel it at every moment. Let the LOVE of Lucas “flow” through your body. He would want that. He will ALWAYS be with you. No one can EVER take away HIS love for you or yours for him. I do not know your pain, and it’s an awful thing that your family has endured. We are ALL on loan here on earth and we are NEVER or COULD EVER be prepared for something that breaks our hearts so severely. Be comforted to know that YOU and YOUR family were chosen to give him a SPECIAL kind of LOVE while he was on loan to you. I’m sure he thanks you dearly for that. He is at peace. Prayer for your family. Praying for God’s grace, hope, peace and strength for you and your family! Your blog reminded me of a quarrel I had with my teenage daughter. The quarrel prompted her to leave and spend the summer with her father and sister. We had a system when we would go grocery shopping it wasn’t till that summer that I realized how much that system meant to me. I totally know how hard it was for you to walk through that store with only memories. I wish I could take your pain for you, to say just the right thing to give you hope, peace, comfort, and strength. As I write this though I realize I can pray, I can ask Jesus to give you all those things. Melissa may you find those things today, and in the days that follow. Surely goodness and mercy shall follow me all the days of my life. It wasn’t long after hearing of Lucas’ death that I started to wonder if you were a former student of mine. (I’m picturing a little girl with blonde, curly hair!) Could that be correct? My heart was filled with sadness upon hearing this news. I’m sure there are no words to describe the pain you are feeling! You must be a wonderful mother to have raised such an awesome son! It would have been a joy to have known him! How thankful I am to hear of Lucas’ and your faith! As painful as this loss is, we, as Christians look forward to the promise of Heaven, because of Jesus’ death and resurrection! My prayers will continue as you, your husband, and children walk this difficult road.I have no words, but know that His grace will be there for you!